How to learn to love yourself? Were you taught to love yourself? Many of us don't because it is believed if we do then we are selfish. It is simple regulation; if we don’t love ourselves in our best and worst time, then we can never love others unconditionally. Loving yourself is a wonderful adventure; it's like learning to fly. Imagine if we all had the power to fly at our will? How exciting would it be! Let's begin to love ourselves now. 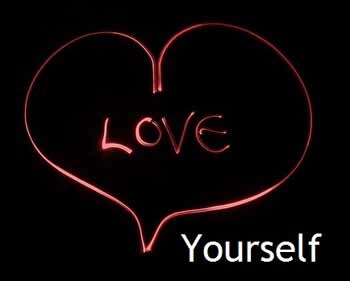 Remember that loving yourself is a combination of self-acceptance, self-awareness, kindness and respect for ourselves. Below are top 10 tips on how do you actually learn to love yourself.Read below and start to learn to love yourself with these tips. Learn to appreciate and value your own life. The answer is probably simple. But, since we over-analyze our situation, it gets complicated and the solution seems farther away. Our main purpose is to be happy – not master perfections! You have to fight, not to give into your negativity. It is about you becoming the "person" you always wanted to become - a person who really values one's life. Imagining such mental image gives you ultimate pleasure. Bless yourself and your environment may sound little weird, but it is important and crucial part of our journey to learn to love yourself. If we love ourselves; everything around us, including work and family relationships, is the reflection of our inner lives. Find ways to support yourself. Reach out to friends and allow them to help you. There is nothing wrong; asking for help, when you need it. When criticism breaks down the inner spirit, praise builds it up. Praise yourself to tell how well you are doing with every little thing. Appreciating yourself is equivalent to appreciating life. 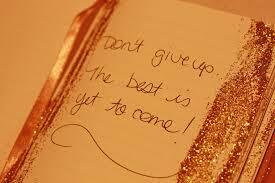 Negatives are often taken as demoralizing; but do you know, it can also be viewed in a positive way. Consider this as an opportunity to improve yourself in a better way. The seed of emotion-Heart. A place where all our compassion and kindness nurtures. One should always listen what our heart says to us, any given time. It is definitely important to do what our mind says, but don’t forget to listen to your heart as well. Most of the time our gut feeling, comes out of the heart. Therefore, take care of your heart. Learning how to love yourself is a key ingredient for happiness. Self love is the best way to happiness. If you are happy, you will find happiness always. Even at the difficult times, you will come out as victorious. It’s a definite sense of self empowerment. Well, appreciating yourself is one thing, however, self patting yourself good is just another thing. When you feel good about something you have done; don’t think twice to self pat yourself on your back. It give a great confidence boost. You will agree on this! When you be good to others, you feel good as well. It's natural law. It's hard to be good to others at times, but then it's the way of life. What you give is what you get. So, you are the one to decide, what you wish to get. Simple. Hope above mentioned tips are helpful to understand how to love yourself. So why waste time, in cribbing about life and its beautiful virtues. Why don’t you start loving yourself, right now? Feeling of happiness and a sense of joy within. More relaxed and carefree life as you are not someone else..
You live your life based on your own approval, acceptance, and validation. "You yourself, as much as anybody in the entire universe, deserve your love and attention." Learning how to love yourself is a key ingredient for happiness. Self love is at the very core of wellbeing, joy, self-empowerment, and our ability to enjoy the kind of life we want. Also, every relationship you ever have with someone else exactly mirrors one or more aspects of the relationship you have with yourself. Its important to ist love yourself. Becoming Aware Of Your Thoughts: A good step in learning how to love yourself is to periodically check in with yourself through the day and notice how you’re feeling . If you are feeling upset, trace back to when you first started feeling that way. Chances are really good that somewhere at that juncture you told yourself something negative about yourself and then invested that thought with belief. Be confident and accept + love yourself.